Fourfront Group fundraising gets heated! 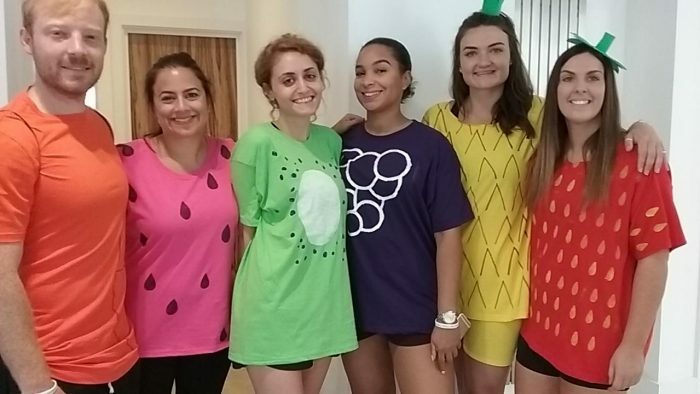 Over 120 employees formed 25 teams to take on the Fourfront Group Trivial Pursuit – a 20 mile walk that tested their stamina and trivia knowledge. As temperatures soared so did the competition with the top two teams both raising over £4,000 each. 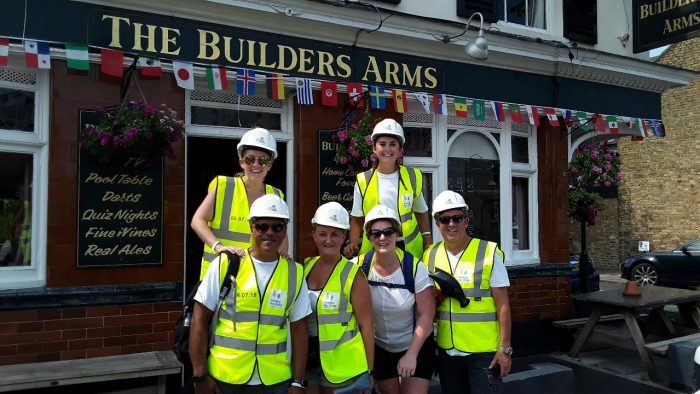 Walkers set off simultaneously from their London and Egham offices and had to follow a map and series of challenges to get to the finish line. Challenges included recreating scenes from Romeo and Juliet, finding their inner James Bond, planting flowers at the hospice and buying items from our charity shop in Fulham. The event was planned and run by Greenhat People UK who generously offered the expertise and services pro bono. By midday the temperature was hitting 30 degrees and some teams were regretting their costume choices. A team of fruits were quick to over ripen but made it to the finish line minus their costumes. The Flintstones were awarded best costume (and they still had them on at the end) and Scotty Dogs were the winning team on the day. 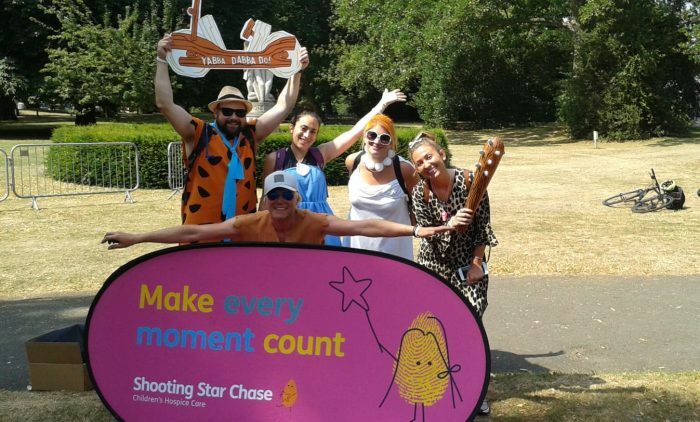 However, Shooting Star Chase were the overall winners as fundraising totaled an incredible £26,000. Fourfront Chief Executive Gary Chandler heaped praise for the event. He said: “What a monumental effort by everyone on Friday. 130 people across 26 teams battled the scorching temperatures to complete the “Trivial Pursuit” challenge. 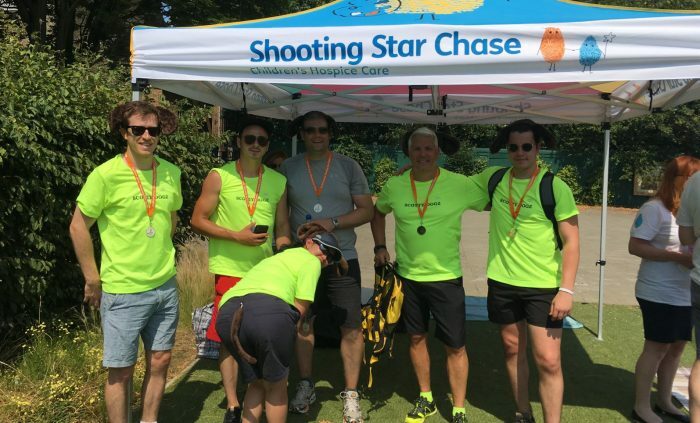 We managed to raise over £26,000 for our amazing charity Shooting Star Chase, which is fantastic, smashing our target of £20,000. The Scotty Dogs team being the ultimate winners!